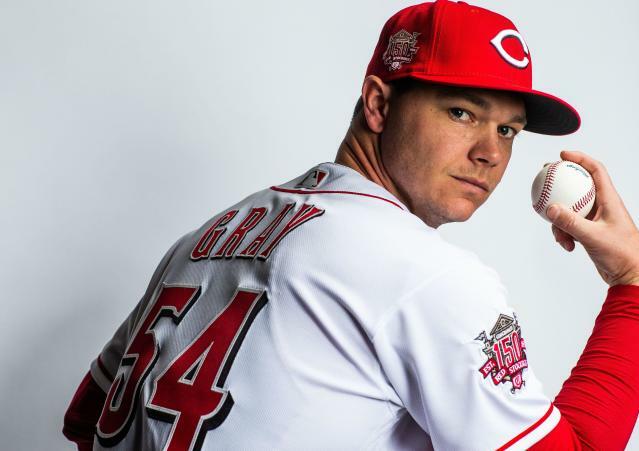 Cincinnati Reds pitcher Sonny Gray didn’t enjoy his time with the New York Yankees last season. The 29-year-old Gray had one of the worst seasons of his career, posing a 4.90 ERA, losing his rotation spot and getting left off the postseason roster. What led to those surprising struggles? According to Gray, the Yankees wanted him to throw a pitch he couldn’t handle well. Or, as Gray phrased it to Eno Sarris of The Athletic, a “s----y” pitch. That “s----y” pitch was a slider, and Gray explained why the Yankees’ over-reliance on the pitch led to his downfall in New York. A look at Brooks Baseball confirms some of Gray’s analysis. Prior to being traded to the Yankees in 2017, Gray used his slider 14.02 percent of the time. Since the trade, he’s used his slider 16.26 percent of the time. Generally, Gray got good results with his slider. Batters hit only .116 against it, with an excellent .285 slugging percentage, when Gray was with the Yankees. As Gray notes, it wasn’t necessarily about the results with the slider, it was that the pitch put him in tough situations. That part is true. Gray threw his slider for balls more frequently with the Yankees. That may have led to Gray getting behind in more counts, which is never good for a pitcher. There are reasons to be optimistic about Gray moving forward. Presumably, he won’t be throwing sliders as much with the Reds. He’s also been reunited with his college pitching coach Derek Johnson, who worked with Gray at Vanderbilt, and joined the Reds in the offseason after a successful stint as pitching coach for the Milwaukee Brewers. With his old pitching coach in the picture again, Gray can go back to the style that made him one of the most promising young pitchers in baseball with the Oakland Athletics. If Gray can do that, he would give the Reds ace-level production at a small cost. That’s a lot better than being forced to throw ... suboptimal pitches.